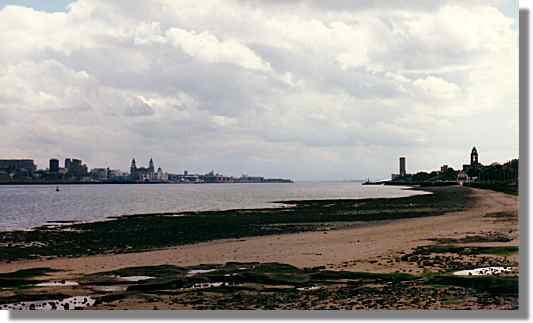 View south-east across the River Mersey. On the left bank, the Royal Liver Building and, on the right bank, Wallasey Town Hall. The 'square' tower on the right bank is a ventilation tower for the Kingsway road tunnel to Liverpool.